This is a Racor RK11-1938 Replacement Bowl with Gasket that fits the Racor 900FH Series and the Racor 1000FH Series. This kit includes: Clear bowl, drain, bowl gasket, and probe plug. This is a Racor RK11-1938 Replacement Bowl Kit that fits the Racor 900FH Series and the Racor 1000FH Series. 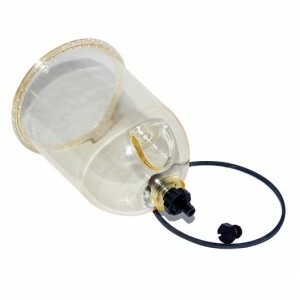 This kit includes: Clear bowl, drain, bowl gasket, and probe plug.